Led by golfer Rashid Khan, professional caddies allege favouritism, say not given a fair chance to play within the DGC. New Delhi: Caddies at the Delhi Golf Club (DGC) in the national capital are up in arms over alleged discrimination at the hands of the DGC administration. Led by two-time Asian Tour-winning golfer Rashid Khan, the caddies have alleged favouritism on the part of the club, saying that they are not given a fair chance to play within the DGC due to their humble backgrounds. Khan alleged that family members of “well to do families” easily get membership at the club instead of waiting for a “minimum of 30 years” — the time that the club agrees is the minimum required period to become a member. The caddies have also alleged that their contracts are terminated if they complain about the discrimination they face. One caddie even alleged a threat to his life. Khan said the administrative policies of the DGC are ruining the future of golfers in the country. He added that he will approach the Delhi high court as well as the central government if the discrimination against caddies continued. However, DGC president Major (Retd) Ravinder Singh Bedi rubbished the allegations, saying that no such discrimination is made by the administration. Earlier this month in Delhi, the 2010 Asian Games silver medalist told reporters that the DGC had once stopped caddie-turned-players from practising at the Delhi Golf Course in 2012. He feared that the club might do the same again. “Golf, an Olympic sport, is not like cricket which can be played in parks or roads, a proper golf-course is required in order to practice the sport,” Khan told ThePrint. “Where will the young golfers in this country who comes from humble backgrounds practice?” he asked. The Delhi Golf Club is situated on public land in the heart of national capital and runs on government lease. The lease was extended for a period of 28 years in 2012. One of the professional caddies, Honey Baisoya said he seen an instance of another professional being suspended by the club earlier after his 10-year old son was seen practicing at the premises. Former caddie Shamim Khan also claimed “favouritism” on part of the authorities. 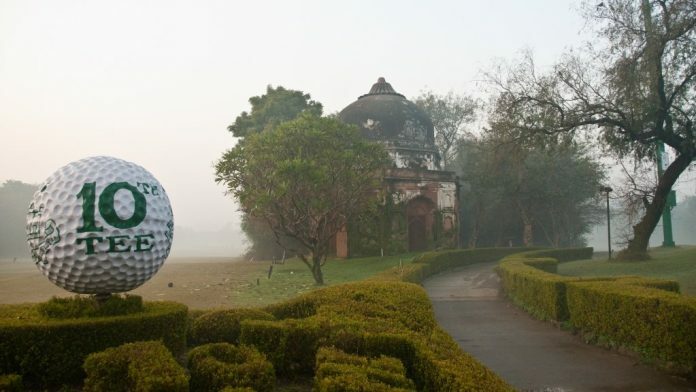 “The General Committee of the DGC can do away with a caddie’s career just on their whims and fancies,” alleged Satish Singh, also a professional caddie. “The club has nurtured Rashid Khan like a child, it is in the club only that he learned how to communicate with others in the English language,” Bedi told ThePrint. The correct thing for the Pro golfers to do is to lobby the sports authority of India to build more public golf courses, and not demand free access to courses that are convenient to them. Ridiculous and unworthy of any media publicity. There are several public courses including Lado Sarai which can be accessed and PRO golfers always have the sponsorship to access their training needs. To lash at the spoon that fed you is akin to telling you mother you are not doing enough for me when you are a fully grown adult. It’s like filing a HC case for not allowing you to live with her for free forever. Sounds like this caddie is being misled and it is most unfortunate for his own professional reputation . It is also telling on the media to pick poor stories and attack institutions which are nurturing and sustain the ecological balance of an already heavily polluted city. Some weeks earlier their was a story about turning this championship golf course into yet another poorly maintained public park. What a terrible idea and exactly the wrong thing to do. A nation of 1 billion and still not a single citizen in the upper echelons of global golf ranking. Here in the US, there are private and public clubs and nobody including caddies demand the right to membership of a private clients without joining the ranks of all others who apply for membership as per the rules and charter of a club. Grow up and behave like big boys with your talent instead of moaning like a baby ! Some years ago, a friend treated me to a sun dappled winter lunch at the DGC. Oh, such a beautiful place, complete with peacocks.